If you are an owner of an unwanted vehicle thatï¿½s been causing too much trouble lately by breaking down frequently, Western Metal Recycling is looking for YOU! Western Metal Recycling is an unwanted car removal company that offers cash for cars up to $10,000. Operating in most of the locations around Perth region, including Mandurah, Joondalup, and Rockingham, our trucks operate 24/7 making it the most convenient way of getting rid of your unwanted vehicle. No matter where you are in the Perth region, with one single call at 0415 227 955 you can have the experts at Western Metal Recycling and our loading truck at your doorstep with much deserved cash! Stop spending dollars on that unwanted car ï¿½ turn it in! Are you tired of spending time and money on an old and unwanted car? You probably have been considering to get rid of it for months and may be years, but the process seems too tedious? 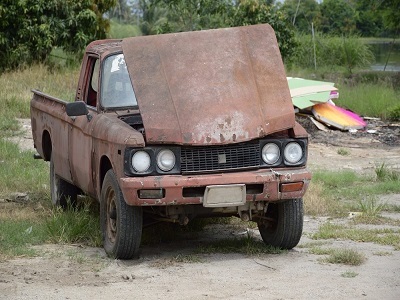 Why to let it rot and continue to lose value and take up space in your garage or driveway? Say hello to Western Metal Recycling and avail our FREE UNWANTED CAR REMOVALS Perth right now, right away! If youï¿½re an owner of an unwanted car in Perth, you have come to the right place! Western Metal Recycling offers Unwanted Car Removal Service for cars of all makes and models - Ford and Toyota to Honda and Suzuki, no matter what you own, we will turn it into cash. We also offer this service for all other types of vehicles too, including trucks, vans and motorbikes. No matter what the condition of the vehicle, be it damaged or covered in rust and bushes ï¿½ Western Metal Recycling will buy it at the highest possible rates based on the market valuation of your vehicle. Our Unwanted Car Removal Service is one of our most sought after services thanks to it being simple, quick and effective. Western Metal Recycling Unwanted Car Removal ï¿½ How It Works? Call us and describe your vehicleï¿½s make, model and condition to us to get an obligation free quote! Once we give you a quote and you accept our offer, coordinate the time and place with our team for pickup. As mentioned earlier, we offer our pickup services at all hours of the day and all days of the week! Just let us know whatever time is suitable for you and Western Metal Recycling be there for quick and hassle free unwanted car removals. You donï¿½t have to do anything else but to make that first phone call, since our expert team will take care of everything and clear it all out for you. You will get the cash in your hand and on the spot! No delay in payments, no drama, no fake promises! Our Unwanted Car Removal service is quick and absolutely trouble free! Call us today and experience it for yourself. Western Metal Recycling offers FREE removal of your unwanted cars along with free paperwork. After working for over several years in the industry, we have successfully become one of the most reliable, trusted and reputed names in the Perth region. Call us today 0415 227 955 and avail our Unwanted Car Removals service to make up to $10,000 in cash.